Carrig N.S. is a co-educational, primary school which strives to provide a well-ordered, caring, happy and secure atmosphere where the intellectual, spiritual, physical, moral and cultural needs of the pupils are identified and addressed. While Carrig is a school with a Catholic ethos, it also has due recognition for all other religions. Carrig N.S. will strive to promote, both individually and collectively, the professional and personal development of teachers through staff development programmes. Carrig N.S. will encourage the involvement of parents through home/school contacts and through their involvement in the Carrig Parents Association. Carrig N.S. will endeavour to enhance the self-esteem of everyone in the school community, to imbue in the pupils respect for people and property and to encourage in them the idea of being responsible. Carrig N.S. will promote gender equity amongst the teachers and pupils. Deanfaimid iarracht Gaeilge a labhairt. 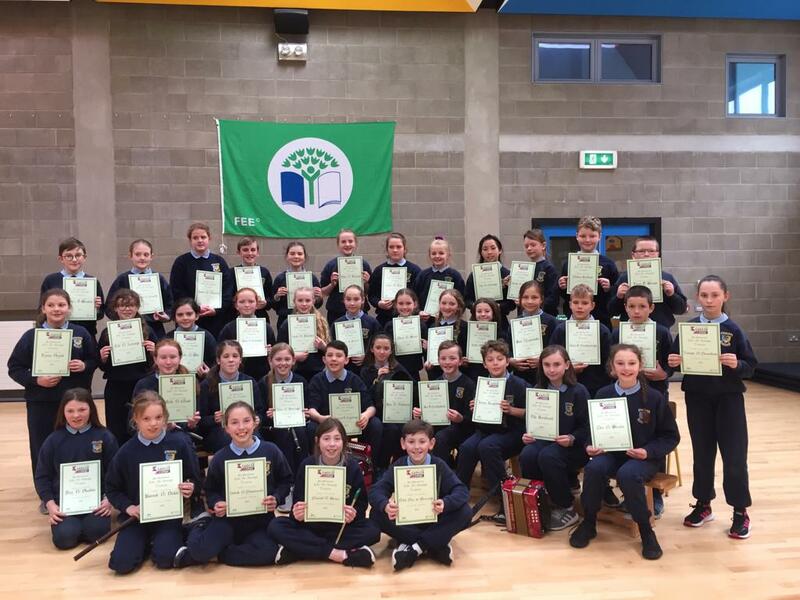 The school motto is : Ní neart go cur le chéile.